Here is my response to another writing prompt from Alchemy: The Art and Craft of Writing (the really cool writing class I’m taking), along with a few comments from participants in the class. 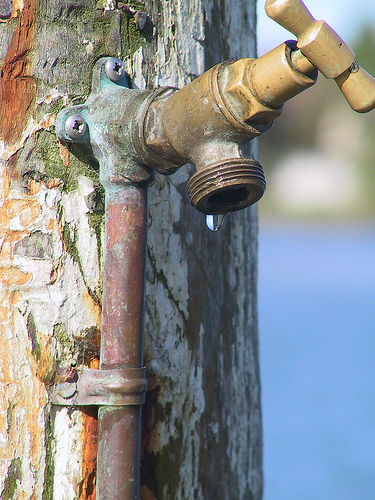 My mind is like a faucet. I think I’ve turned it off, but no sooner do I get comfy on the couch to watch The Good Wife do I hear the drip, drip, drip of tiny little thoughts that drive me crazy. I should be doing this, or that…It doesn’t matter what. I may as well get up because my thoughts won’t let me rest. Sometimes the faucet doesn’t simply drip, it sprays in all directions. I’m flooded with ideas and feelings. 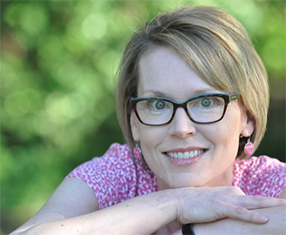 I experience an urgency to write, to create, to make meaning of all that’s pouring out. But the water is getting things wet. Things that aren’t supposed to get wet. I need a paper towel. I feel pressure. Time pressure. Other yet unnamed pressures. I can’t follow each idea, explore each feeling. I have to pick and choose. I hate that. I can’t let water get all over the place. Can I? Comment: There’s something interesting about the drip turning into a forceful flow – neither of which can be ignored. Comment: I think water all over the place, the chaos of that, is something you should pursue. I sometimes write best, or get the best ideas, when I am totally on edge. I’m curious, what’s your mind like? 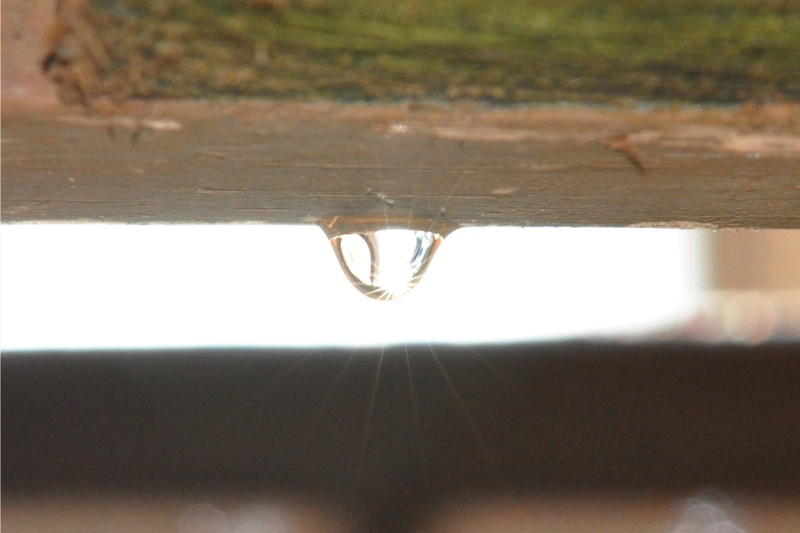 Here’s a photo Greg took of water dripping off our deck. I like how the light reflects through the droplet.